I’d just like to say thank you to first time Writer/Director, Sasha Louis Vukovic for allowing me early access to a screener of his Adventure/Drama/Thriller film, “Flora”. The year is 1929. A group of university botanists, led by Basho (Dan Lin), head out on a research expedition to an uncharted forest. Upon arriving, they discover remnants and belongings of their Professor’s (played by Paul Turcot), but he’s missing. Basho’s analysis of the local plant life reveals an ancient and potentially fatal organism that ultimately begins threatening the safety of the entire group. The film also stars Teresa Marie Doran, Sari Mercer, Miles G. Jackson, Caleb Noel and William Aaron. I stumbled upon a brief article and trailer for Sasha’s debut feature-length film a couple of months back and I thought it sounded intriguing. My favourite part of Flora is Nathan Prillaman’s dynamic larger than life score. This soundtrack is so unbelievably diverse, in both the way it’s structured as well as the constantly changing style and themes. Ora Blackwood (Doran), the talented artist in the group, brings a gramophone on the trip and the 1920’s, blues and jazz jingles that it puts out, act as part of the score. The first two acts build around a heavy use of violin, cello and piano and there’s a number of different compositions, all of which sound great. 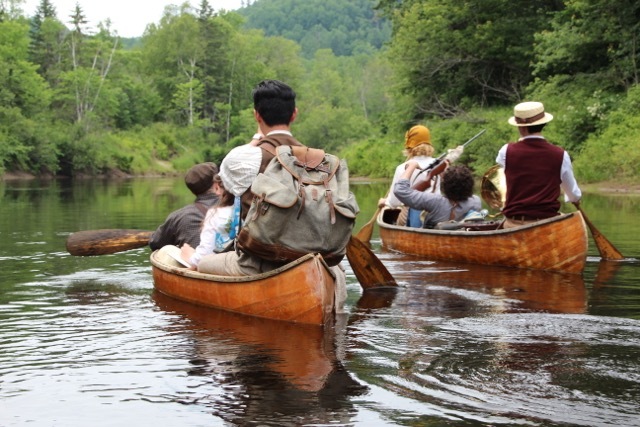 The adventure driven drumming comes on in the last part of the film when the situation worsens and the remaining members of the group start to head for the hills (or more accurately, safety). As the film progresses it turns the focus to Ora and Basho, but that doesn’t mean the entire group aren’t fair game for this mysterious bacteria. Haviland (Noel) reunites with his preppy brother, Rudyard (played by Jackson), then there’s Avis (Mercer), whose tasked with looking after everyone’s health, and lastly, Charles (Aaron), the navigator. Surprisingly, as a whole, this cast don’t have a lot of experience and that makes their consistent performances all the more impressive. The wardrobe and the actors dialogue delivery both feel authentic to the era. Flora focuses primarily on the paranoia of the situation, and while it’s very light on action, there are some practical blood effects at different stages throughout the film. The group have a decision to make. Considering Flora was conceived by a first time Writer/Director there’s not a great deal to complain about from a technical standpoint. The film is guilty of having the odd lapse in camera focus and a handful of shaky shots inside the car during the opening scene (though the rough terrain they’re driving on could explain that). I’m not a huge fan of the handheld guerilla style film making, especially when you’ve already got a solid production value in most of the other key areas. On occasion, Sasha, and in turn, DP, Eric, utilize a few tracking shots, though they don’t really highlight anything in the frame. It looks like they might have been filmed with the drone rather than a dolly, and hence don’t quite have the same feel. There’s a few redundant lines of dialogue in the script as well but that’s not unusual in a first screenplay. I think the most obvious shortcoming in Flora is surrounding the lack of character development, or even the interest levels in having those characters further explored. I wasn’t able to get to know anyone well enough to care about what fate might have befallen them. I was only behind Ora for the duration because it was obvious that was Vukovic’s intention (as other characters often talk about her). 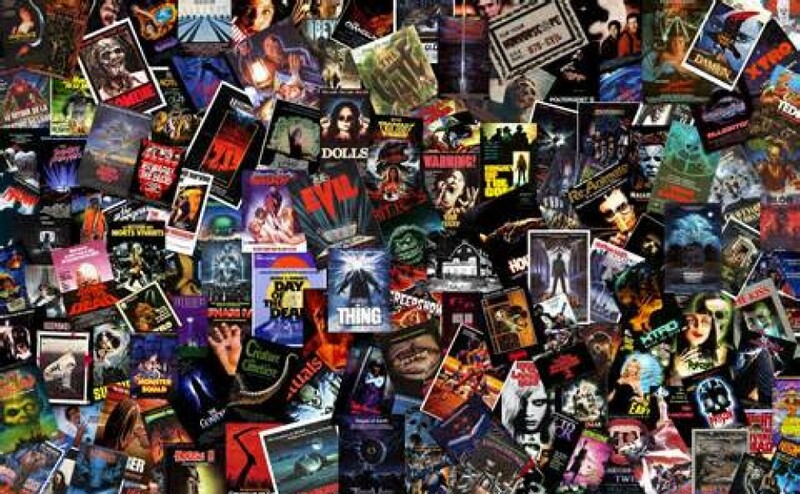 If I hadn’t of watched through the credits and cross referenced the cast on IMDB, I probably couldn’t have told you a single name of any of the characters (and that’s never something I’ve had a problem with). I really didn’t like the character of Rudyard at all. It wasn’t so much to do with Jackson’s performance, although there were the odd moments that didn’t help, it was more that the character was such a whiny know it all (with seemingly little knowledge to back it up). I think the Morse code heard in the beginning of the film is the same part that Ora decodes later (I think it was Ora? ), but it would have benefited the viewer if they knew what the message was earlier, given not a lot else was happening at that stage. Unfortunately, the thing that’ll hurt the demand for multiple viewings of Flora is that it gets a little boring at times if I’m honest. 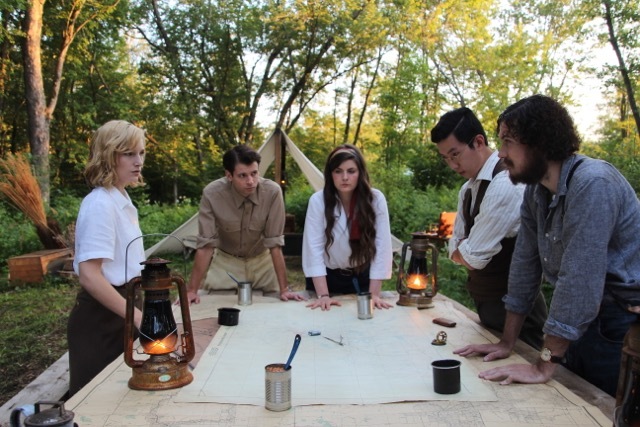 Scenes such as the group sitting around the campfire, run longer than they needed to, and several of the conversations fail to drive the story in its projected direction. It runs just over 100 minutes and it certainly wouldn’t have lost anything if it’d been cut by 15 minutes just to help the overall pacing. 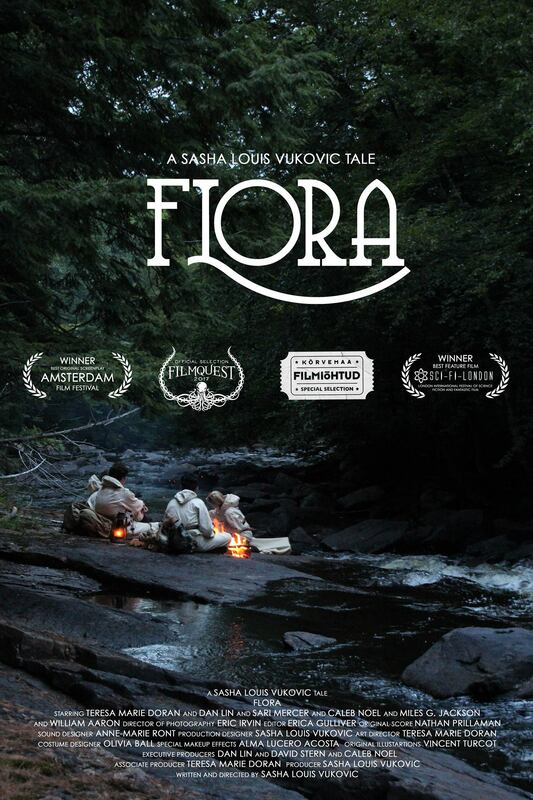 Flora is a period piece of nature horror that ends up mostly being grounded in drama. It’s a cross between the environmental cautionary of Australian film “The Long Weekend” and to a slightly lesser extent, Shyamalan’s universally panned “The Happening” (which I’ve always had a soft spot for despite its seesawing rules and logic, that and everyone’s hate). 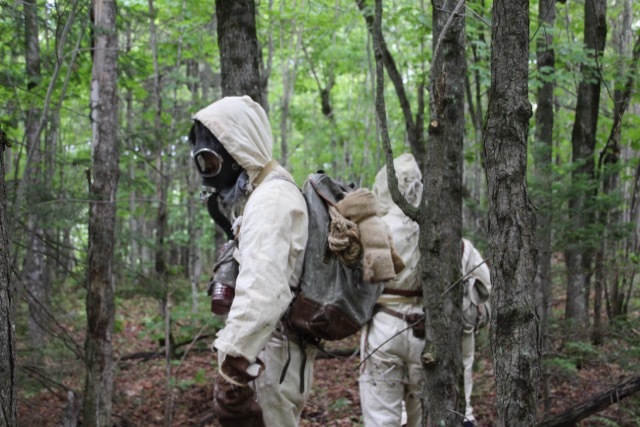 I’ve got to commend Sasha for his clever location scouting and re-creation of the time period, even more so because the film was made on such a small budget. Irvin and Loft’s combination of consistent camera work helps the aesthetic appeal of Flora and the audio is crisp and clean. The performances are on point and there is some brief practical blood on display. The score/soundtrack is ultimately what won me over and it was definitely my favourite aspect of the film. In fact, I think this is perhaps the best independent film score I’ve heard this year, kudos to you Nathan. There’s only a handful of technical inconsistencies but it was my indifference toward the characters that ultimately made it difficult to want to engage the film. Rudyard just annoyed me and I never learnt anything about the remaining botanists. There’s simply too much downtime here for my liking, and I think if it’d been cut by 15 minutes in order to curb some of the boring chunks, it would be a considerably tighter film. All that said, this is a nicely made product from a first time film maker but I won’t be revisiting it in a hurry because I was hoping for a little more life in it. I can, however, recommend this to those of you more inclined to go in for the drama and problem solving aspects of a horror themed plight, rather than just the action. I’m looking forward to seeing what Vukovic does next.